Giving back is something Mittera values greatly. As Mittera grows, we believe it’s important to share our success with our communities. Mittera’s Corporate Giving Program allows our team members to play an active role in giving back. Each division of the Mittera family selected valuable causes to support this year, and we are pleased to share them below. Young Women’s Resource Center—This organization strives to help girls and young women become strong, self-confident and successful. The Young Women’s Resource Center utilizes education and support to create a safe environment for girls and young women where they experience acceptance, compassion, knowledge and commitment. 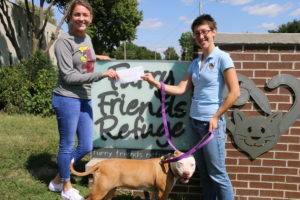 Furry Friends Refuge—Furry Friends seeks to assist all area animals in need through a variety of programs including adoptions, spay and neuter, community outreach, and humane education. Additionally, the organization has partnered with WestPet Animal Control to provide housing, reunification, and adoption programs for stray animals in the Des Moines, Iowa area. Puppy Jake—Puppy Jake selects, trains, and places our service dogs with brave wounded warriors. Puppy Jake Foundation also provides resources for the advocacy, awareness and acceptability in public for those that require the assistance of a service dog. Boyden Centennial Park Revitalization Project—The Boyden community is working to restore Centennial Park. Colorfx not only donated funds towards new playground equipment, but some of our team members volunteered their time to help with the installation. Beaver Dam Lake Days—This local event raises funds to promote education and improvements to Beaver Dam Lake and its parks with community involvement. 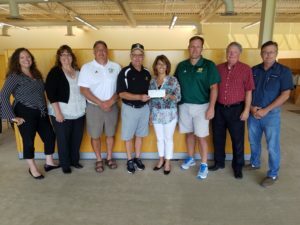 Beaver Dam Flat Tail—Beaver Dam Flat Tail provides financial assistance to students that would not otherwise be able to participate in the Beaver Dam Football program, where they develop friendships and learn lifelong lessons. Designing Dreams—This organization is dedicated to inspiring hope and happiness by making dream bedrooms for children with cancer, providing them a positive space for healing. Church Health Services—This nonprofit provides medical, dental, and mental health care clinics to people who lack access to these services. Arc of Dodge County—JBK’s contribution will help sponsor a fall banquet for people with intellectual and developmental disabilities. 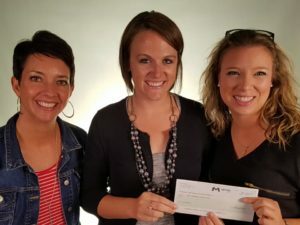 Beaver Dam Optimist Club—JBK’s contribution helped fund the making of “homeless kits” for Beaver Dam High School students that find themselves without a home. Green Valley Enterprise—Green Valley helps individuals with special needs to achieve maximum potential and independence through a variety of services. Beaver Dam Lions Club—The Lions strive to empower volunteers to serve their communities, meet humanitarian needs, encourage peace, and promote international understanding through the Lions Clubs worldwide network. Heart Heroes, Inc.—The Heart Heroes mission is to provide support to children and families affected by Congenital Heart Defects (CHD) through the distribution of superhero capes, programs to offer hope and funding for CHD research. Jackson Hole Conservation Alliance—This organization works to protect the wildlife, wild places, and community character of Jackson Hole, Wyoming by amplifying the voices of local citizens, utilizing facts and data to support smart community policies, empowering conservation leaders, and engaging the community in the civic process. Youth Emergency Services and Shelter (YESS)—YESS provides a safety net of programs designed to help kids when they need it most, including emergency shelter, crisis nursery care, mental health counseling, and care coordination. As Iowa’s largest provider of emergency services for youth, the agency connects more than 2,000 children per year with healing and hope. 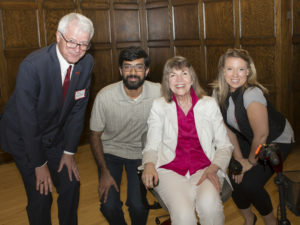 Iowa State University Pat Miller Lecture Fund—This program brings over a hundred speakers and cultural events to Iowa State’s campus every year that are free to students and the public. Speakers include scholars, activists, elected officials, performers, and more. Americares Hurricane Harvey Emergency Disaster Response—Americares worked hard to assist with relief efforts in Texas in the wake of Hurricane Harvey. They distributed water and aid, and mobilized medical outreach with their local partners. Houston Food Bank—The Houston Food Bank provided food to many people in need after Hurricane Harvey. They continue to do their part to make sure no one goes hungry in the Houston area. 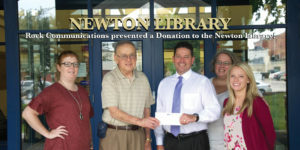 Rock is located in Newton, Iowa, and our team there chose to support four local organizations: the Newton YMCA, the Newton Public Library, the Newton Fire Department, and Newton Public Schools. Additionally, our Rock plant holds a year-round fundraiser to support various causes. One day a week, team members can wear casual dress in exchange for a donation to the “Jeans Day Fund”. The money is donated biannually to various community causes. The first donation went to Newton Senior High School, where there are two groups that work to provide basic necessities to students who may not otherwise have access to them. Essentials such as hygiene products, clothes, shoes and boots, gym clothes, backpacks, and school supplies are made available to students through these programs. As 2017 comes to a close, the Rock Jeans Day Fund is raising money for St. Nick’s, a community organization that ensures all children have a good Christmas. Food, clothes, and presents are all donated to families in need to make sure they are taken care of during the holiday season. We enjoyed seeing the results of the 2017 Corporate Giving Program, and we look forward to continuing to give back to our communities in the coming year!